Whether you’re buying or selling a home, you’ll want to hire an InterNACHI-Certified Professional Inspector. 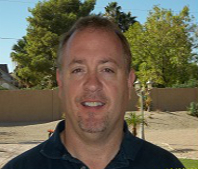 My name is Ken Farrell, and as a member of the International Association of Certified Home Inspectors, I represent the best-trained and most highly qualified inspectors in the business. Anthem, Apache Junction, Avondale, Buckeye, Chandler, Fountain Hills, Glendale, Gilbert, Goodyear, Maricopa, Mesa, Phoenix, Peoria, Queen Creek, San Tan Valley, Scottsdale and Tempe. Arizona licensed and insured home inspector BTR #42135. I am also an FHA Certified 203k consultant. Please contact me for additional details of this exciting program. This could be the program for you to be able to get that dream home you have always wanted but can’t compete with investors and cash buyers!!. Contact me now to schedule your inspection or click on the button below!